WASHINGTON — Hundreds gathered Thursday at the Hart Senate Office Building to protest against the nomination of Brett Kavanaugh to the Supreme Court. 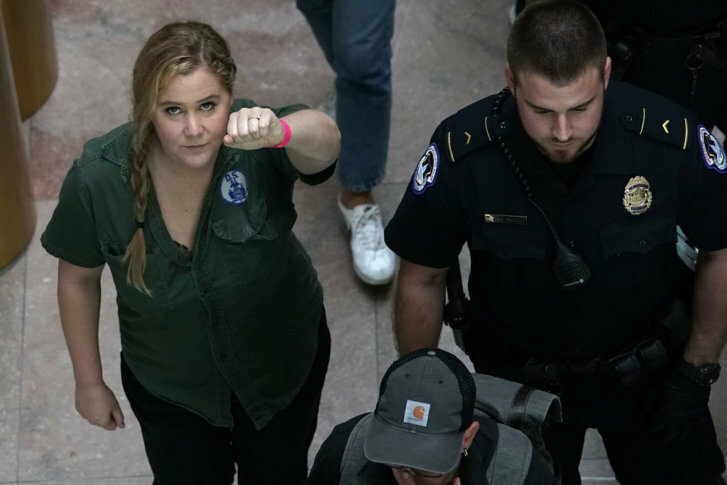 Comedian Amy Schumer and model and actress Emily Ratajkowski were reportedly among the many arrested during the protest. Social media video captured at the scene show police officers escorting protesters, including Schumer. Take a look at the scene on Capitol Hill.